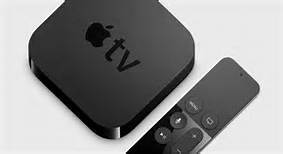 The latest generation of the Apple TV has a lot to offer that its predecessors don't. It's a casual gaming device, has useful apps like weather or news services and even comes with Siri baked in to help you find what you're looking for faster. apparent to first time users or those who don't dive too deep into settings. Here are 20 tips and tricks to help you master the Apple TV. If you have more than one Apple TV in your house, you can easily rename them to better tell them apart. Go to Settings > General > About > Name and choose one of the preset names, such as Living Room , Bedroom or Office. If you don't like any of those, you can select Custom Name at the bottom and set your own. This will help you determine which Apple TV you're streaming or mirroring content to. Apple TV will automatically go to sleep after a set amount of time. This can be customized at Settings > General > Sleep After. However, if you want to manually put Apple TV to sleep, long press the Home button and select Sleep . Pressing any button the remote will wake up Apple TV again. buttons until you see the front status light on the Apple TV start rapidly blinking. When you release the buttons, it will force a reboot. If you have a lot of apps installed on your Apple TV, you can organize them into folders. Just like in iOS , you long press on the icon and drag it over another app icon to create a folder. If you're adding an app to an existing folder, you can drag and drop it into the folder, which can sometimes be unwieldy with the Apple TV remote. An easier way to do this is to long press on the icon and press the Play/Pause button and select Move to [folder name] to quickly drop it into any folder. The new Apple TV aerial screensavers look incredible. They bring beautiful cityscapes and other scenery into your living room in the form of high resolution video. But if those aren't your speed, you can change the screensaver and how often they update. Go to Settings > General > Screensaver and select Apple Photos , My Photos , Home Sharing or My Music. Each selection comes with different settings to tweak, such as the transition between photos or how often new Aerial screensavers are downloaded. Scrub faster with Siri You can click on either side of the touchpad on the new Siri remote to skip forward or backwards 10 seconds at a time. If you click to pause, you can scrub even faster by sliding left or right on the trackpad. To jump ahead or back a specific amount of time, you can just ask Siri. Say, "Jump back 5 minutes" or "Skip ahead 10 minutes." To save yourself even more trouble when searching or typing any amount of text on Apple TV, grab a Bluetooth keyboard and pair it . Put your keyboard into pairing mode and go to Settings > Remotes and Devices > Bluetooth . Select your keyboard from the Other Devices section and follow the on- screen prompts. You can also connect gamepads to your Apple TV to use it as a lightweight game console. The gamepad must be Bluetooth enabled and MFi certified. Pair Bluetooth headphones Under the same Bluetooth menu, you can also pair Bluetooth headphones for late nighttelevision binges while your cohabitants sleep. I've also found this helpful when a TV show or movie has unusual or poor sound leveling. You can use the Reduce Loud Sounds option, but listening through headphones seems to work better. A faster way to quickly delete multiple applications is to go to Settings > General > Manage Storage and click the trash can icons to the right of the apps you want to uninstall. The Menu button does more than take you to the previous page. If you double-click it, the screensaver will start. Triple-clicking the Menu button will activate your Accessibility Shortcuts, such as Closed Captioning, Voice Over or Zoom. If you have more than one enabled, the triple-press will ask which shortcut you want to toggle. Get to the app switcher I spent weeks with my Apple TV before I even realized there is an App Switcher, a la iOS. To get to it, double-press the Home button . Swiping left and right will scroll you through a chronological list of your most recent apps. Swiping up when stopped on an application preview will close that app. entering passwords. Also, while it's not an official shortcut, if you need to delete everything you've typed in a search bar or text field, rather than swiping all the way to the right and long-pressing on the on-screen delete key, just quickly tap the Siri button . Queuing up Siri will delete any text you've entered to make way for dictation input, but if you tap the button fast enough, it won't have time to hear any input and acts as a quick delete key. Apple recently updated the Apple TV Remote app for iPhone . Just download the app, connect your phone to the same network as the TV, add as many Apple TVs as you have in your home and use the iPhone to control them. With the latest update, you can also queue Siri from the iPhone, which was not previously possible. If you have HomeKit-compatible smart home devices, you can use your Apple TV or an iPad as a hub to remotely control them using Siri on another iOS device. However, a recent TVOS update added the ability to directly control your HomeKit devices using the Siri remote for Apple TV. If you are signed into the same iCloud account on the Apple TV and your iPhone, the Apple TV will set itself up as a HomeKit hub. you're away from home, you can use Siri on a connected iPhone or iPad and the Apple TV will control the smart home device remotely. If you have the Apple TV Remote app installed on your iPhone, it should also install on your Apple Watch . When you open the Remote app on your Apple Watch, you can add your Apple TVs and begin controlling them from your wrist. Swiping an direction on the watch works like the touchpad on the remote, as does tapping it. There's a Menu button and Play/Pause, but no Home button. With the official TV app came new remote functionality. Pressing the TV or Home button will take you back to the Watch Now section of the TV app, not the home screen. If you want to revert to the old remote function, go to Settings > Remotes and Devices and click to switch between returning to the home screen or the TV app. If you enable Family Sharing on your iCloud account and login to your Apple TV with that account, everyone's purchased content can be shared on a single Apple TV. Your past purchases will appear under the Purchased tab in the App Store, iTunes Movies and TV Shows apps. To access another user's purchased content, go to the Purchased tab, select Family Sharing and click on a users photo. In order to access another user's music, you will need to go to Settings > Accounts > iTunes and App Store and switch accounts there. As long as content isn't playing, you can record the screen of your Apple TV using a USB-C cable and Quicktime on a Mac. Connect the USB-C cable to the back of your Apple TV and the other end into a port on your Mac. Open Quicktime and go to File > New Movie Recording . In the window that appears, click the downward facing arrow button beside the record button and select your Apple TV from the dropdown menu. The live preview of your Apple TV's screen will appear on your Mac. Just press the record button to start capturing the screen. You may have noticed that after a recent update, scrolling onto a text input field on the Apple TV will trigger a notification on nearby iOS devices. This is called Apple Remote Keyboard and works with iOS devices and Apple TVs signed into the same Apple IDs so long as Bluetooth and Wi-Fi are toggled on. will appear on the Apple TV.